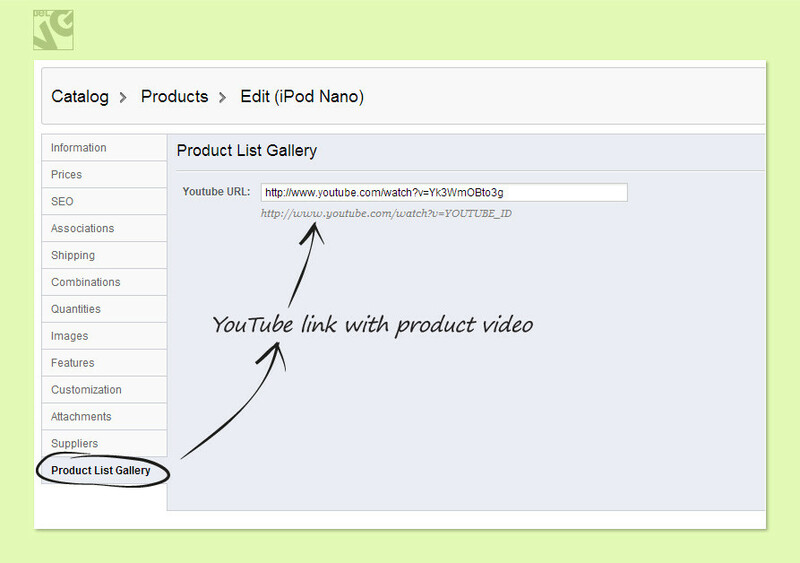 Display all product images and info right in the product list and embed YouTube videos. Give your catalog pages a brand new look! 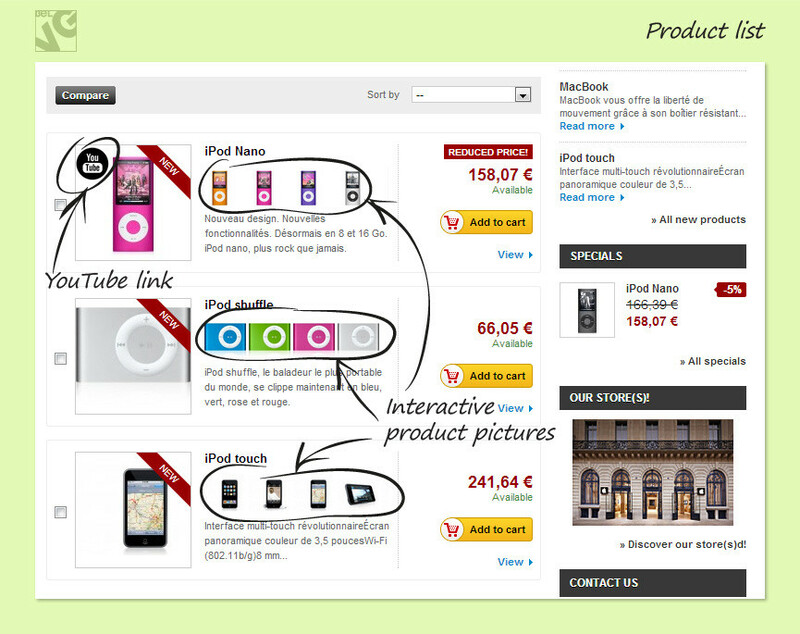 Give your catalog pages a brand new look with Prestashop Product List Gallery. You can now display all product images and product info right in the list. Images are displayed in a visually appealing animated manner in a row next to the main picture. The main picture changes to the one on which the cursor rests. 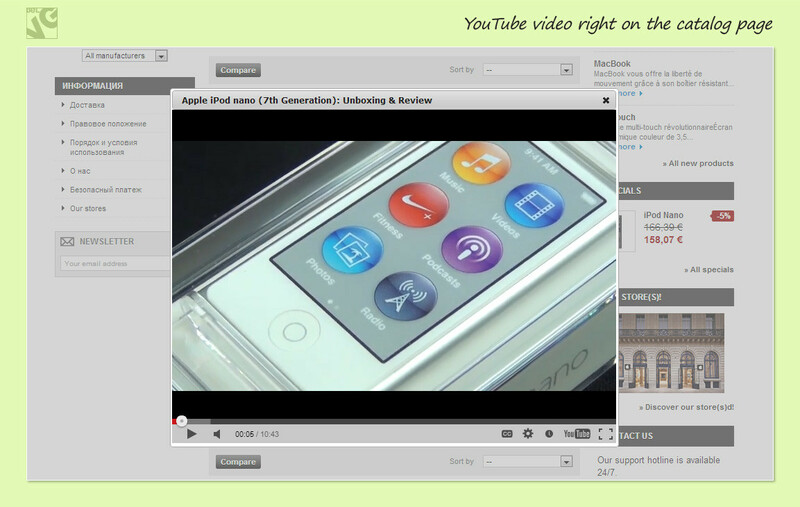 Moreover, you can embed the YouTube video about the product . Simply enter the link and the YouTube logo will appear on the image.